No one likes headlamps that have become hazy (oxidized) over time. Haze can pose a hazard by reducing light and scattering its focus when you need your vehicle's headlamps to be at peak operation. 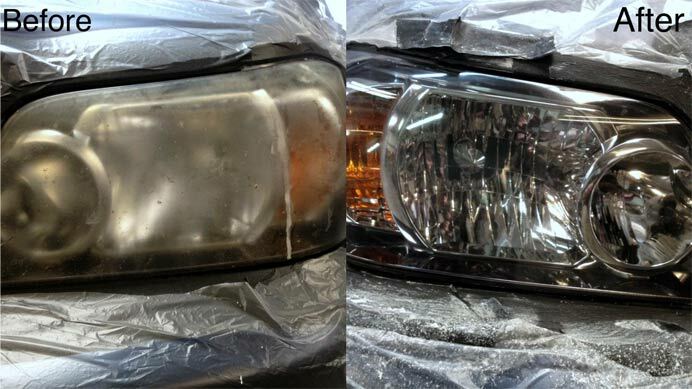 We can restore the clear luster of your headlamps lens with special treatments. There's no need to purchase expensive new lenses! © Copyright 2017 Glass Magic. All Rights Reserved.